Find out why Kostya Kimlat the Business Magician is the top keynote speaker to improve brand perception & enhance customer service. For 20+ years, master magician Kostya Kimlat has used the centuries-old secrets of magic to shape the perceptions of his audiences. 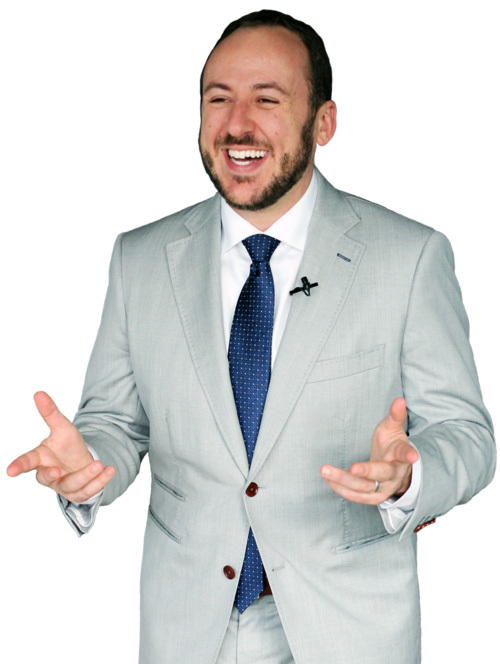 Now, as a motivational speaker, he's revealing those secrets at conferences, conventions, sales trainings, customer service workshops, and meetings so that business audiences can learn to step into the minds of their customers, clients, and coworkers. To Think Like a Magician™, it's not about deception—it's about perception. With 20 years of experience, Kostya has performed as a magician and educated as a keynote speaker in over 200 cities on five continents, empowering executives at companies like Sysco, AT&T, Siemens, and NASA. Kostya talks about the role that perception plays within your business and most importantly, your customer's mind, using centuries-old magic techniques. Kostya's message as a motivational speaker comes alive through the art of interactive magic, keeping audience members attentive for the duration of his customer service trainings. But it is the message, not the magic, that makes the greatest impact. Kostya shares the principles of perception with your team, giving you specific ideas, tools and strategies to improve the customer service experience. Thank you! Kostya's office will be in touch with you soon to learn more about your event.